Cries of "Shabash Lala" rang out with Pakistan's mercurial pathan's tremendous power and skill on full display at Providence Stadium in Guyana today. First, Shahid Afridi joined his captain Misbah-ul-Haq at the crease to score a quick 76 runs off of 55 deliveries to build Pakistan's respectable total of 224 for 9. 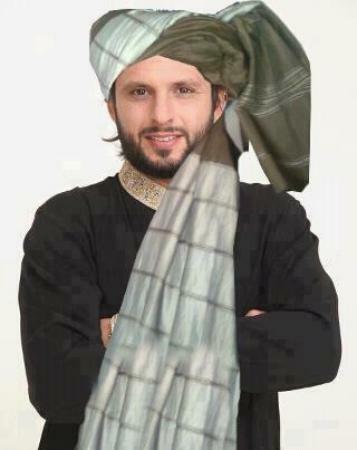 Then Afridi went on to claim 7 wickets while conceding just 12 runs to limit West Indies to 98 all out. The other wicket-taker was Mohammad Irfan, world's tallest cricketer, with 2 wickets for just 17 runs. When Afridi took the crease, Pakistan's top order had collapsed once again against the moving ball as Jason Holder delivered a searing new-ball spell of 8-4-8-4. Misbah-ul-Haq was playing his usual hold-the-innings-together role scoring at about a run an over, but when Afridi strode out, he was immediately looking to score a run a ball. Pakistan were 47 for 5 and the team's last recognized batting pair was in the middle, but that didn't stop Afridi from launching his third delivery for six over long-off. The second biggest contributor to Pakistan's total was Captain Misbah-ul-Haq with his 52 runs scored from 121 deliveries he faced. Afridi's latest comeback marks yet another phase of the 33 year-old cricketer's career which has been characterized by quick flashes of brilliance followed by long stretches of mediocrity. In fact, it wouldn't be wrong to say that Afridi's inconsistency is also the hallmark of the entire Pakistani national team with few individual exceptions like Misbah-ul-Haq, the current captain, who is known for his consistent batting performance. 1. Pakistan's bowling attack is among the most potent in the world and it should be maintained and enhanced. 2. Pakistan's batting is among the weakest in the world and it needs serious improvement. 3. Pakistani players, particularly batsmen, collapse under pressure. 1. Hire a world-class batting coach who has a track record as a super batsman but also knows how to effectively coach a young side. This search for such a coach needs to be world-wide and selection done in a professional manner. 2. Bring on board a world-renowned sports psychologist to increase mental toughness and improve the overall temperament and tenacity of the players to perform well under pressure. The anger for any losses should not be directed against individual players. Instead, the passion should be channelized to improve the effectiveness of the team as a cohesive unit. Thanks Riaz for good article, I happened to watch the game on Espn. The match was won single handedly. The performance indicates that Boom Boom is not finished yet. That he was dropped from the one day and T20 squad was a mistake committed by those involved with selection. He is a rhythm player and probably needs more luck than a normal cricketer. On his day, he is a match winner and that is good enough reason to hang around with him. His talent for hitting the cricket ball is unique and extra ordinary. He takes risks and if he is able to slam couple of sixes, chances are that the bowler would make mistakes and the hammering thus continues. It is generally seen that a good performance in batting supplements bowling and vice versa. Ian Botham was in the same groove. Wonderful suggestions. Additionally, the batting technique needs to be addressed. The Pakistani players are very comfortable playing on slower tracks, but when it comes to Pitches in England, Australia and South Africa, they seem to be under a spell of mediocracy. The openers, one and second down positions require the most sound batsman on whom the team can rely. There needs to be standards for these positions, indiscriminate selection without merit puts the team under tremendous pressure and they crumble. 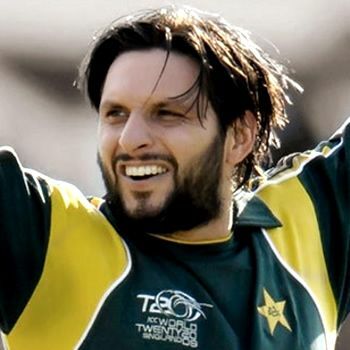 Pakistan's most popular lala Shahid Afridi is engaged in a very public spat with his former team-mates over his batting skills and performance. Going by Afridi's recent record I see his value to Pakistan team mainly as an effective bowler who occasionally makes some runs. Unfortunately, it does not help solve Pakistan's biggest problem which is its weak and inconsistent batting.